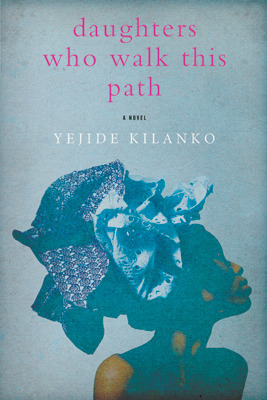 Yejide Kilanko was born in Ibadan, Nigeria and currently lives with her young family in Ontario, Canada. A therapist in children’s mental health, she holds bachelor degrees in Political Science (University of Ibadan) Social Work (University of Victoria) and a Master of Social Work degree from the University of Windsor. Her best-selling debut novel, Daughters Who Walk This Path, is published in Canada, The United States and Germany. Under The Neem Tree asks her a few questions about her novel Daughters who walk this path. 1- You are a social worker. Why did you decide to write a novel? Can you tell us about your journey from a social worker to a novelist? June 2009, I was working in child protection services. My job guaranteed constant exposure to heart-wrenching stories of sexual abuse and I struggled to fall and stay asleep. Writing poetry is how I process my emotions and Daughters Who Walk This Path began as a short poem I wrote that month. The poem is titled Silence Speaks. After sharing the poem with friends living in Nigeria, I was surprised by the discussions that followed with regards to the prevalence of child sexual abuse back home. That led to the decision to write the novel. The manuscript was my first and it took about a year to write. On August 16, 2010, I sent out queries to several literary agents in the United States. That same day, I received a request for a full manuscript. Exactly one week later, I had an offer of representation from my fantastic agent. May 2011, after we had polished the manuscript, we made submissions to Canadian publishing houses. We heard back from my editor at Penguin Canada three days later and the novel was published, April 2012. 2- What inspired you to write this story? Writing the novel was therapeutic for me. I also hoped it would somehow help people who’ve experienced sexual abuse accept that they’ve done nothing wrong. 3- What was the idea behind putting Yoruba proverbs at the beginning of every chapter? Where did you get them? Proverbs are little kernels that succinctly convey knowledge/wisdom. I felt the proverbs used as chapter headers provided the right backdrop and gave readers something to walk away with. Searching the internet, I was fortunate to find the book, Yoruba Proverbs, by the late Professor Oyekan Owomoyela. It’s a real treasure. 4- Would you label yourself feminist? This book is written in a women’s perspective. Even the title refers to women in a way. I do see myself as feminist. I believe that women deserve equal status, to be part of decision making processes, whether in their homes, at work or in public forums. And that ultimately, they are able to decide on what is empowering to them as unique individuals, without judgment from men or other women. 5. What did you enjoy most about the writing process? I love the process of bringing to life the characters in my head. While I’m writing, they are very real to me and I enjoy getting to know them. And they somehow still manage to surprise me. 6. Should we expect something from you in the future? On the same genre? A different genre? My second novel will be published by Penguin Canada, spring 2014. It’s also contemporary/women’s fiction. Because I want to explore other genres, my next project is going to be a children’s middle grade book set in Canada and Nigeria. I also intend to write a psychological thriller set in Africa. 7. Do you think something called African literature exists? If yes, how would you define it? What does it represent to you? I do think African literature exists and it represents literary works which reflect the African way of being and worldview. It’s diverse because it showcases a continent and dynamic because it’s exploring new territories as it should. I’m proud to be referred to as an African writer. 8. Would you consider writing in your native language (Yoruba)? Yes, even though sadly, I can’t write Yoruba as well as I should. My dream is to get my novels translated into Yoruba so my dear grandmother can read them. 9. Who are your favorite African writers? I love the works of Buchi Emecheta, Zulu Sofola, Ama Ata Aidoo, Nadine Mortimer and Chika Unigwe. As a reader and writer, I really enjoy humour and find Cyprian Ekwensi and E.C Osondu, interesting. 10. Name two books by African writers that changed your life? The first is the play, Wedlock of the Gods, by Zulu Sofola. Reading as a child, her powerful writing transported me to a different time and place. I wanted to be that kind of writer. I read Buchi Emecheta’s The Joys of Motherhood as a teenage girl struggling with gender expectations. It definitely helped to shape the woman I’ve become. 11. Any advice for aspiring writers? Read widely. Writing truly is rewriting, lots of rewriting, so work hard on your craft. Learn the grammar rules. Find honest people to critique your work. Take full advantage of opportunities when they come your way. Be professional. Always, put your best work forward. Finally, believe in yourself and don’t give up. A quick reminder that Under the neem tree reviewed this book, check it out here . Thanks Celestine-) I really like it myself!